XOXO Jes - Canadian Entertainment News: Alex Pettyfer has a tattoo that says what, where?!? 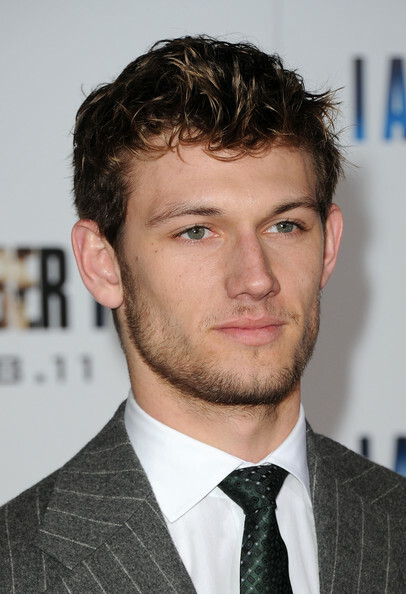 Alex Pettyfer has a tattoo that says what, where?!? Alex Pettyfer, the ugly dude from I Am Number 4 who everyone thinks is so hot right now (f-cking world and their fame goggles), recently did an interview with VMAN Magazine. He talked about his hate for LA and how the acting industry is ridiculous. This is nothing that I disagree with...some may say it is douchey to slap the people and the city who made you famous and rich, but whatever. Say what you think, that's my motto. In the interview he also talked about one of his tattoos...he has one above his junk that says "thank you"..."In case I forget to say it," he explained while winking." WTF. Now that is just rude! If a girl gives you a beege, you better at least say thank you. What a d-bag. Actually now that I think about it...it is kind of funny, but still rude. And he "explained while winking" because he was joking. The tattoo on Pettyfer's lower abdomen actually says Alex in Kanji. BTW, I've never seen your blog before, but it seems to me that anyone who complains about "fame goggles" while writing a gossip blog needs to up their meds. Christopher is a haterrrrrrr. I lol'd in real life over this.